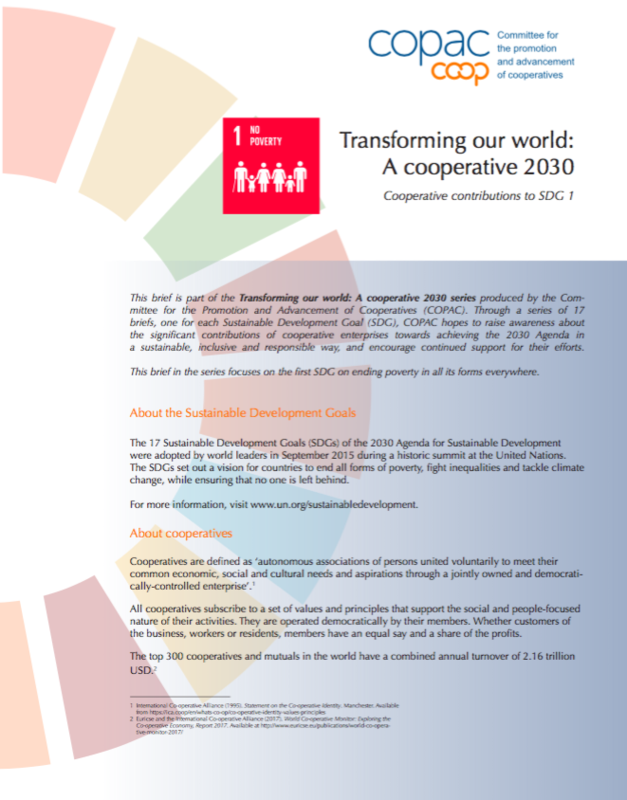 This brief is part of the Transforming our world: A cooperative 2030 series produced by COPAC. Through a series of 17 briefs, one for each Sustainable Development Goal (SDG), COPAC hopes to raise awareness about the significant contributions of cooperative enterprises towards achieving the 2030 Agenda in a sustainable, inclusive and responsible way, and encourage continued support for their efforts. This brief in the series focuses on the first sustainable development goal on ending poverty in all its forms everywhere.